Vanessa Savage – you absolute star. 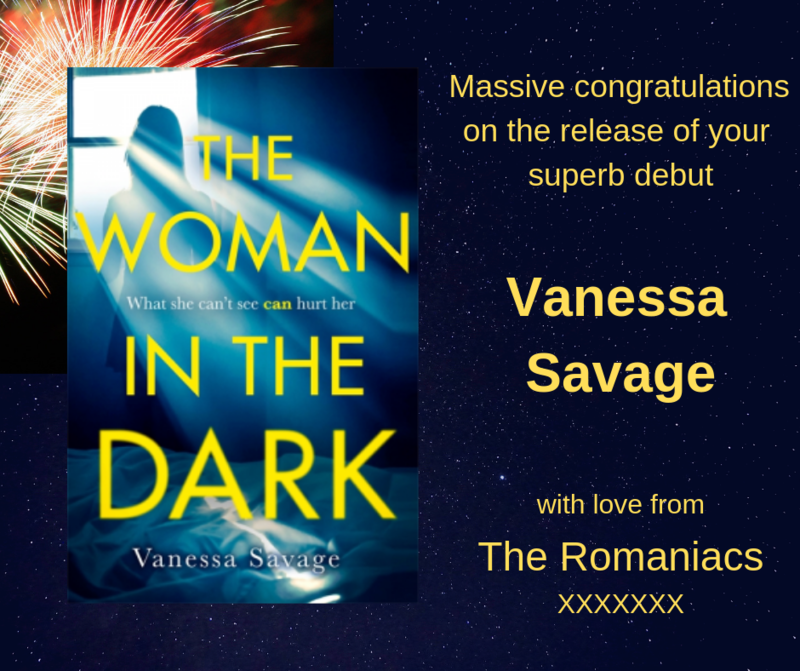 It’s a HUGE day at Romaniac HQ, and we’d like to congratulate our Vanessa on the release of her stunning debut novel, THE WOMAN IN THE DARK. Vanessa – you are an exquisite writer and we know THE WOMAN IN THE DARK will absolutely fly. 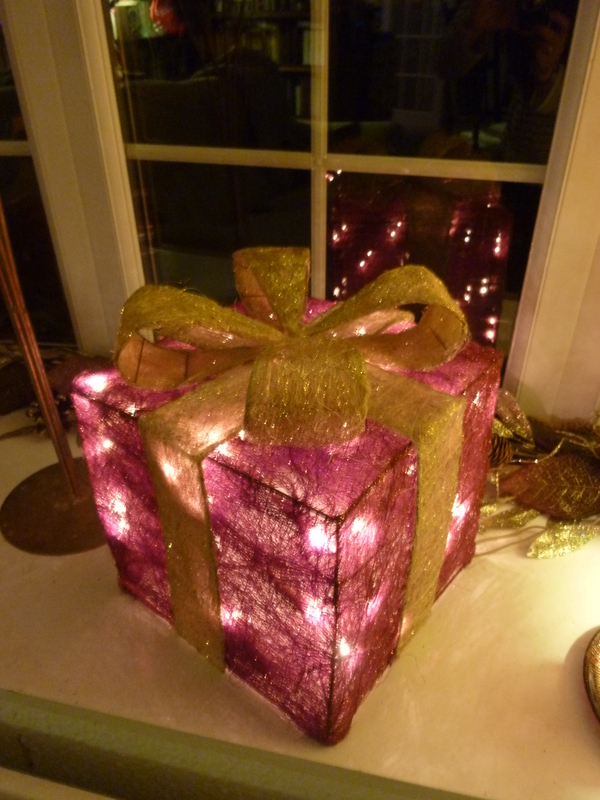 Wow, we can’t believe it’s the end of the year already and Christmas is just a few days away. We’ve all been busy this year, both of the writing front and on the home front, so we thought we’d end 2017 with a quick round up of what we’ve been doing and what we’re up to at the moment. Sue : I’ve had two books published this year, Sister Sister and The Birthday Girl. I’ve been delighted with how they’ve both been received so a HUGE thank you to everyone, I really do appreciate all the support, both directly and indirectly. I’m busy writing my next book and am hoping to be able to share more news on that in the new year. Vanessa: Since I started writing my first book several years ago, I’ve begun each year hoping it would be THE year – the year I got a book deal. I’m so thrilled to be able to say that 2017 really was THE year! I came back from a family holiday at the end of May to the exciting news that my agent was ready to send The Murder House out on submission. After a crazy, life-changing few weeks, The Murder House sold at auction in the UK, the US, Germany and Spain, with rights also sold in France, Poland and the Czech Republic. I am living proof that if you have faith and never give up, dreams can come true. The Murder House will be published by Sphere in January 2019, and Grand Central in the US in March 2019!! Celia: For me, it’s been a year of getting used to not being a teacher any more and of realising that I can write pretty much any time I like for the first time ever! I’ve had some fabulous holidays, spent more time with the family, had more exercise (although no less wine and cake, there are limits to this healthy stuff) and signed with an agent who I respect very much. She is working on a submission package as we speak and plans to send the new book (working title 59 Memory Lane) out to publishers week beginning January 8th. Lets hope they’re not all too full of Christmas pudding to appreciate it! 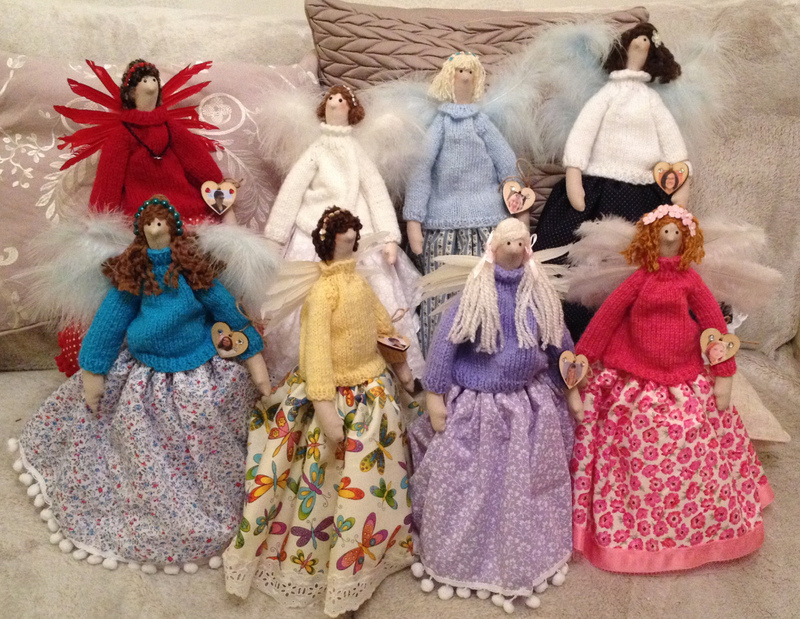 Catherine: Blimey, what a busy bunch we have been! 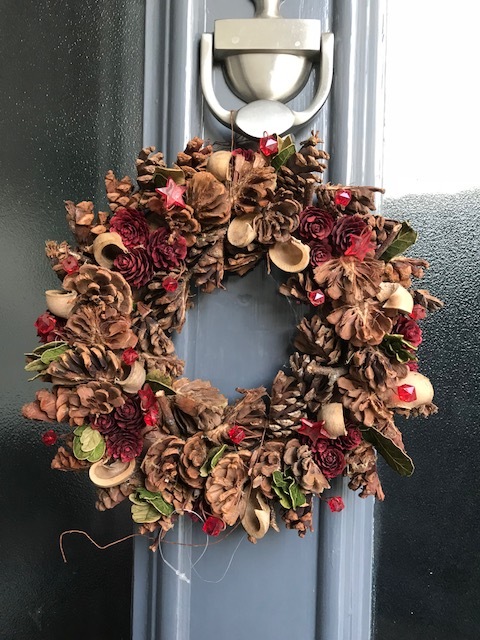 I’ve had a whirlwind of a year as well (no wonder we haven’t blogged as much) with writing and the publication of THE GIN SHACK ON THE BEACH and CHRISTMAS AT THE GIN SHACK. I am so grateful for how well received they’ve been and how everyone is loving the character of Olive. Personally, it has been the year I became a single mum and my twin girls have been a massive focus for me. I’ve dubbed it the Year of Finding Dragons and we have had lots of fun and adventures along the way. Next year is set to be another exciting one – work wise there are plans for several more books and we’re yet to decide what we’re looking for on our adventures… perhaps some unicorns, because, as updates from The Romaniacs above prove… anything is possible! Go grab 2018 with both hands and let it know you mean business! I’m writing this with the soundtrack of ‘We Are Family’ playing in my head. 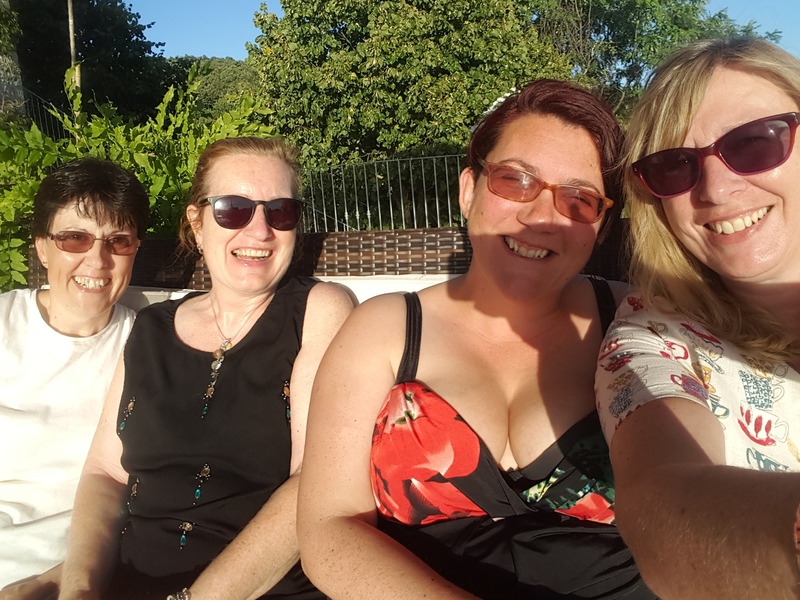 A couple of months ago, the amazing human dynamo that is our Catherine Miller wrote a lovely post on here about how the Romaniacs have been having a series of ups and downs, and are in a phase of new beginnings. I’m not going to make lists here but some of the ups are…well, pretty uppish! The lows for some have also been spectacular and even bumping along in the middle lane has sometimes been a challenge. For that reason, today’s LCOAW isn’t detailed – it’s just a celebration of a friendship group that’s standing the test of time with flying colours and never fails to be supportive, warm and not a little bonkers. Thank you, fellow Romaniacs, and cheers! It’s been an amazing old time at Romaniac HQ of late. There’s been news on a scale we could never have imagined and it’s been made more magnificent by the fact it’s coming from every quarter. My new shiny cover that was revealed yesterday! And this isn’t like some kind of band break-up message. We’re not saying we’ve reached our peak -let’s end on a high. We’ve never been in a position to support each other more and celebrate at every stage. We’ve had lots of that happening recently… chapters ending, stories coming to conclusions. It’s safe to say that the finales of those tales, of those personal endurances over time, they’ve all come good. It’s also fair to say that some of those stories are still mid-chapter. They are still at the point where we don’t know what’s going to happen. Personally, I’m in the midst of a chapter that has proved to be a test of character. But that’s okay. I’m not stuck here because the trick is to keep going. And no matter how many chapters it takes to find your conclusion… keep going. This is what it is to be a writer. And sometimes, this is what it takes to survive. So, even for those of us who’ve recently had conclusions. For those of us (like me) who’ve recently finished books, despite writing The End, really it is just The Beginning. There will always be another book. There will always be the next thing that needs to be achieved. And I never write The Beginning when I start a book. I always spend my time striving for The End. Striving to achieve the goal. When sometimes I need to appreciate the stage I am at. Right now, The Romaniacs are in a new phase. Personally and professionally there’s a lot to be excited about. So, we are at The Beginning. We are once again faced with chapters that we have no idea how it ends up. Or how long we’ll be stuck mid-chapter. There’s a few things we do know though. We know we’ll have each other as support. We know half of the fun is in the journey. We know we’re never giving up. Well we are positively glowing over here at Romaniac HQ because our very own Vanessa Savage has gone and landed herself an AWESOME book deal with Sphere! We cannot describe how proud we are of Vanessa’s courage, determination and sheer talent. We always had faith in her and her writing and we are over the moon to be writing this post and celebrating with her. Vanessa, we are so proud of you and all that you have achieved. You are not only a super talented writer, but a loyal, kind and beautiful friend to us all. We cannot wait to raise a glass (or five!) with you at the conference next week. Happy Publication Day, Catherine Miller! THE GIN SHACK ON THE BEACH, Catherine Miller’s third novel, is out there, so polish those crystal tumblers, crush that ice and mix your perfect G&T! 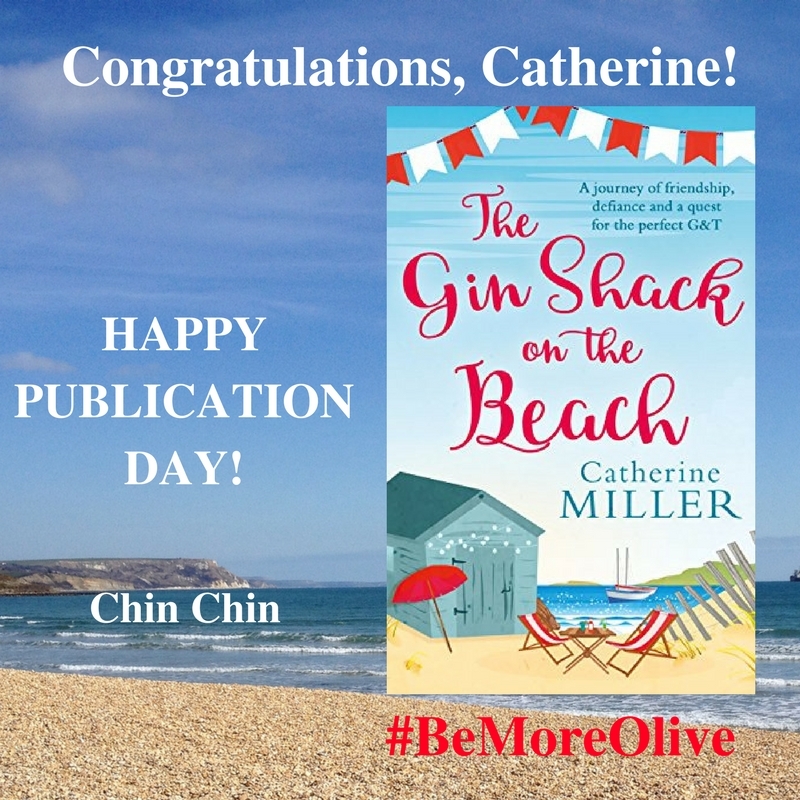 The Gin Shack on the Beach is a fabulous story and we at Romaniac HQ are thrilled for you, Catherine.